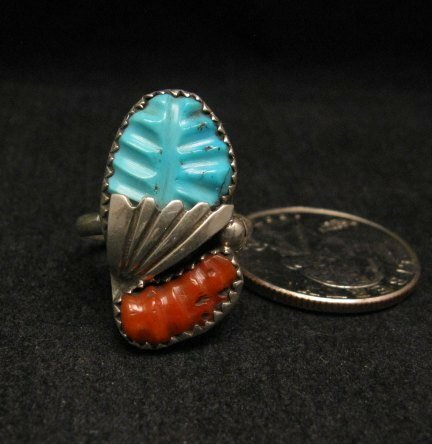 This lovely Native American ring by renowned Zuni artist Loyolita Othole has a hand-carved Sleeping Beauty turquoise and coral stone. 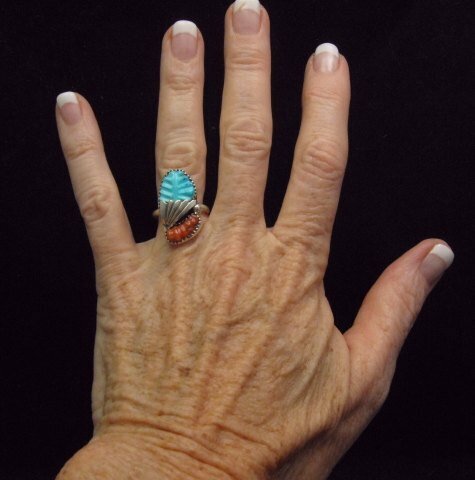 There is a silver raindrop bead and a single applied sterling silver leaf accent. Brand new and in perfect condition. Hallmarked by the artist, Loyolita Othole, with an engraver. Free gift box and Certificate of Authenticity included with your purchase.